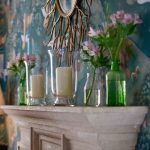 This boutique hotel in the extremely lovely market town of Chipping Campden is a bit of a gem with its stunning architecture – a row of four properties on the high street with a fabulous Regency edifice at the centre – fine-dining restaurant Fig, brasserie-style eatery Bistro On The Square and award-winning spa. It looks gorgeous inside and out and when it comes to service, well, you get treated like royalty! There are 28 rooms, all beautifully luxe and individually decorated in soothing greens and duck egg blue, and they’re rather sumptuously romantic to boot – in particular, the Hot Tub Cottage and Hot Tub Suite which both come with their own private garden with, yes, a hot tub! The latter also has a separate sitting room with an open fire, which we have our eye on for next Valentine’s Day. The spa tucked away in a former coach house at the end of the hotel’s secluded landscaped garden has seven treatment rooms, a hydrotherapy pool with jacuzzi, steam room, hammam and a cosy private space for couples. The garden is divine and also has myriad romantic possibilities with secret spaces divided by yew and box hedges, and a terrace which is the perfect spot to take tea. 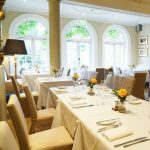 The gorgeous Fig restaurant is the place to take afternoon tea indoors, and it’s also where breakfast is served, but its main draw is its fine dining – the modern European menu is headed up by a Michelin-experienced chef and the restaurant is gunning for its third rosette, with two already under its belt. The Bistro is a more casual eatery with brasserie classics on the menu and an impressive range of cocktails, with gin something of a speciality. Needless to say, being so romantic, it’s also a super-duper wedding venue, but it’s equally good for a family stay and you can even bring your pooch. 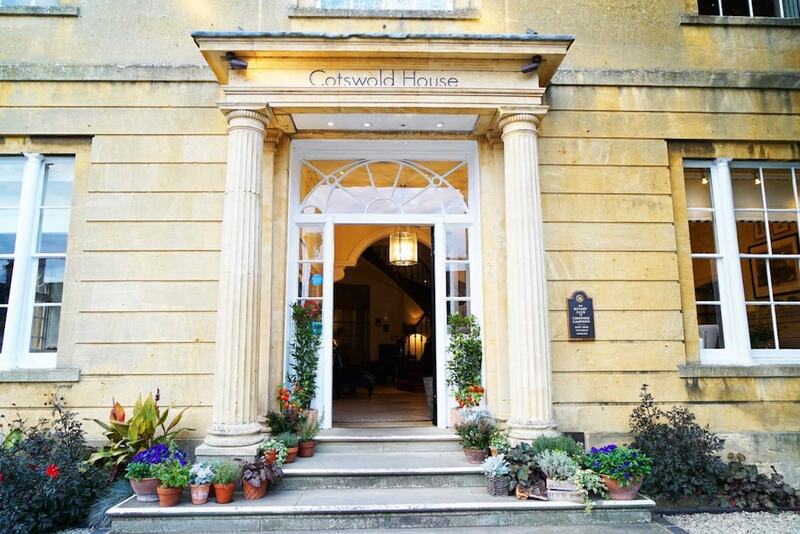 You’re in prime walking country (the Cotswold Way footpath starts at Chipping Campden) and you’re also very nearby the incredible Hidcote Gardens and quirky Snowshill Manor, so staycation possibilities abound!